I know you've been waiting with bated breath. At long wait, in time for the start of the (World Series-winnin?) 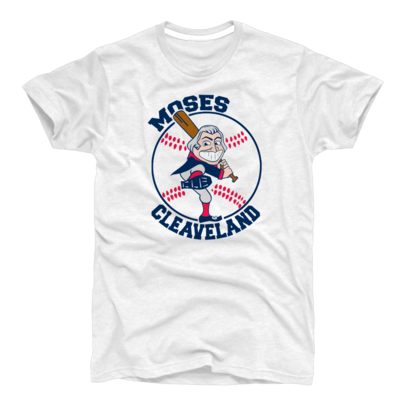 2014 Cleveland Baseball season, the Fightin' Moses T-Shirt! Big thanks to our partners in this venture, TeamCLE tees.